Why Do I Need Beneficiary Designations If I Have A Will? 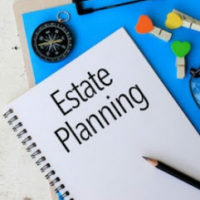 A will—like other elements of your estate plan, such as a trust, advance directive, health care proxy, power of attorney, etc.—is part of a bigger whole when it comes to estate planning. Beneficiary forms are another essential part of this process. They designate who you want to receive proceeds from certain accounts, such as your annuity, bank account, life insurance policy, retirement account, etc. in the event of your death. Each of these pieces is an essential part of your estate plan, especially given that whomever you designate in your beneficiary forms for those specific accounts will always take precedence over your will. The most common example of conflict arising due to beneficiary forms taking precedence over a will and a decedent’s clear intentions involve outdated beneficiary forms, i.e., individual has left someone that is now estranged as inheriting their account on their beneficiary form, and has since changed their mind and wanted to update who inherits their retirement account, etc. to a new partner, child, etc. If this is not done before the individual passes away, the representative for the company in charge of that account will not even speak with individual that the decedent intended to leave their account to if they are not on that form, and those forms were not completed and mailed in; regardless of whether the decedent updated their will with that information. Further problems arise when a will comes from the internet and has not been properly executed by an estate planning attorney. If a will like this includes mistakes, has not been properly signed, etc. (as is often the case because they are usually one-size-fits-all forms), you are looking at significant time, effort, and expense that goes into the process in order for your loved ones to inherit what you intended them to. The will has to be taken to the Register of Wills officer to be offered for probate. The notary and witnesses them have to be located or the Will cannot be successfully probated. In addition, if the template included a default inheritance tax clause, for example, the individual who the decedent intended to inherit the estate could actually end up paying the inheritance taxes on the money left for the person who was accidentally left on the beneficiary forms. When it comes to estate planning, you want to make sure that all of your documents are done correctly, kept updated, and put in place by someone who knows what they are doing. Wills need to be executed with the utmost care and careful attention to detail. By failing to work with a good attorney, it often costs a decedent’s loved ones a significant amount of emotional and financial devastation. Contact our experienced Florida estate planning attorneys at Gierach and Gierach, P.A. today to find out about our excellent estate planning services.